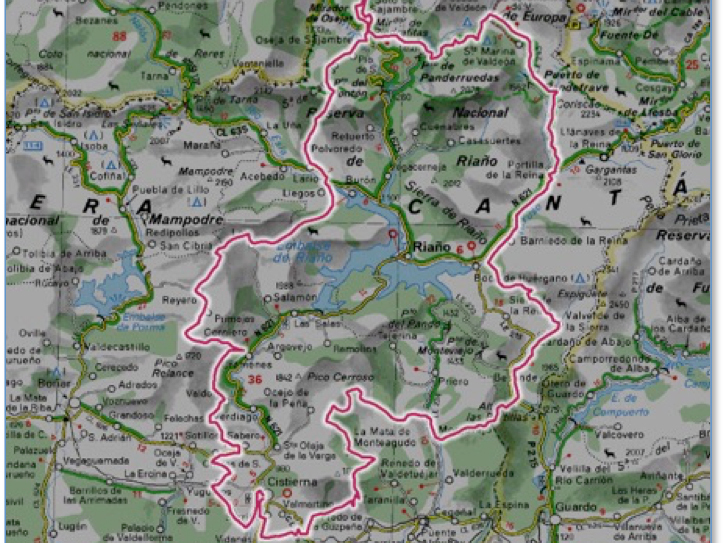 Our agent is a semi-professional cyclist who knows the Picos like the back of his hand and has created this route for us based on his extensive experience. The route runs through one of the most pristine and beautiful areas of the Picos de Europa and León and will surprise you with its landscapes, biodiversity, and its historical and gastronomic richness. A tour that will delight all your senses. all in an area framed by uncomparable beauty. We have drawn out a medium-level route so that anyone who is used to mountain bike routes can do it while fully enjoying the tour and everything its landscapes, towns and people offer along the way. You don't need to be an expert to do this route, but you can't be a beginner either. Many times the terrain requires a level of experience; otherwise, it could be difficult. Nonetheless, anyone who is a mountain bike enthusiast will be prepared for it. If the terrain should become too complicated, there are some alternates that can make it easier. As we've stated, it's a self-guided tour, but you will have the paths set up in your GPS, a road assistance phone number for the duration of the trip, maps, hotel reservations... etc. In other words, you're in good hands! Our cycling expert is in charge of your safety. If anything should happen while you are on the bike, you can call him and he will take care of everything. Moreover, we will know that you will have arrived at your hotel every night thanks to the ongoing communication we maintain with our hotels. In addition to nature, this area is a gastronomic treasure. From this region come some of the best cheeses, chorizos and meats that are exported to the rest of Spain. As a result, this trip is also a complete pleasure, even in the culinary sense of the word. The tour begins and ends in the town of Cistierna. It is a self-guided circular loop of approximately 220 km and 6,500 meters of ascents carried out over 5 stages, staying each night in cozy rural accommodations. A section of the route (less than 15%) is on asphalt, but you always travel along side roads or country roads, never along the highway or roads with highly-traffic. On the contrary, you won't hear any cars on this trip, only the sound of cows and rivers, which you pass while pedaling through. Your luggage will be transported from hotel to hotel every day. Our rental bikes are name brand, Stance, one of highest quality, and they are in top condition. Of course, if you prefer to bring your own bike, there isn't any problem, and we'll be glad to deduct the rental price. As this is an individual trip, you can start any day of the week. However, since there is limited access to the Picos de Europa, there may be possible dates we are unable to make the trip. Also, this tour is only available from May through October. Click on "book now" or contact us by mail so we can make you an offer. You can also call us by phone if you have any questions or prefer to speak with us in person. Note: This trip can also be done in small groups. Contact us to request pricing. Today you arrive in León, where you'll stay in a nice hotel in the center of the city. From here you can discover León, visiting all of its monuments. At the same time, you'll walk its streets and enjoy its people, bars and tapas. Notably, this year 2018, León is also named the Spanish Capital of Gastronomy, which gives you one more reason to the visit this beautiful city that captures and delights everyone who visits. Once you have checked into the hotel, you will be given a short briefing about the tour at our cycling expert's facility, where you will be handed the bike after it is personally adjusted to you. In this way, you have everything ready to begin the adventure the next morning. Dinner in Cistierna is included in the price. Day 3: First day on bike: Cistierna - Crémenes, 32 km. Departure difference - arrival: 82 m.
Maximum difference in height: 380 m.
Your bike is ready and so are you; it's time to start this magnificent adventure through the Picos de Europa. The first stage is a short route, approximately 32 kilometers, a perfect distance to come into contact with and get acclimated to the trip that lies before you. As you exit Cistierna, you will ride to Yugueros, from which point you'll find the first hard climb of the day to Sabero. There you can visit the Mining Museum of Castilla y León. After that short stop, another hard climb awaits you, but it's through spectacular alpine landscape all the way to Valdoré. From there, you'll continue on to Crémeres, but not without first going up one more climb that ends in a fun descent arriving at the entrance of the town. Accommodations and dinner at Crémenes (dinner included in the price). Departure - arrival drop: -103 m.
Maximum difference in height: 874 m.
Day much longer than the previous one; today 57 km in front of you with climbs, descents, and some uneven terrain. Today you will enter the National Park of the Picos de Europa, where you will have to scrupulously follow the park instructions to both avoid problems and protect the environment. Oak and beech forests, meadows, mountains, cows and many other animals will accompany you during this trip. Today there will be some small stretches of asphalt on your route that will help you rest your arms and legs after the ascents. Today's route ends in Soto de Sajambre. Accommodations and dinner in Soto de Sajambre (dinner included in the price). Departure difference - arrival: 196 m.
Maximum difference in height: 787 m.
Today's stage begins with a descent although with another slope. This is just a short rest before a very hard climb to Panderrueda. The landscape is spectacular since you are inside the National Park of the Picos de Europa, so you must stop to take photos and enjoy nature! After these climbs there are always descents, and the descent, that continues until Posada de Valdeón, is long by a wide and very fast road. The last climb of the day is to the Port of Pandetrave between beeches and oaks. And since there is no climb without descent, this is your last descent of the day until you reach Boca de Huérgano. Expect landscapes of great beauty that will accompany you throughout the entire stage, making it feel much shorter than it is. Lodgings and dinner at Boca de Huérgano (dinner included in the price). Departure difference - arrival: -17 m.
Maximum difference in height: 559 m.
This stage begins with a gentle ascent until reaching 1539 meters of altitude. The following descent is very fast on easy roads without much difficulty. When you get down to a bit of asphalt and there is a new and more demanding climb that will take you to Morgovejo, a nice place to rest. After the break, get ready for a very tough climb with one leg-breaking section. When arriving at the top the rocky landscape in front of you is absolutely spectacular. After that, you only have to descend to La Mata de Monteagudo, a most authentically rural mountain village and from there on to Santuario. Lodgings and dinner at La Matamonteagudo (dinner included in the price). Departure difference - arrival: -158 m.
Maximum height difference: 383 m.
Today you'll have the shortest stage of the entire route so that you're able to arrive in time to eat at Cistierna where the adventure ends. This ride begins with a descent, but after a few kilometers the fun begins; a hard climb up through a path of oaks. The descent has a few expert spots, not too difficult but with some treacherous and sharp limestone rocks that you have to know how to avoid. Once downhill you will reach the FEVE tracks, then a few more kilometers and you'll reach Cistierna, which after the small villages you've seen over the past few days will seem like a great city. At our collaborating partner's office, you will receive a variety of products from the region: a strong Valdeón cheese, savory wild boar and venison sausage, Lazos de San Guillermo sweets ... and, of course, a jersey of completion from our partner's company on the route, "Pedales de León". After a well-deserved shower, a taxi will come to pick you up and take you back to Leon, where you can enjoy a free afternoon. Accommodations in León. Dinner included. 2 nights in León in a charming hotel in the center of the city. 5 nights in the Picos de Europa. Transportation from León to Cistierna to start the route. Transportation from Cistierna to León at the end of the route. 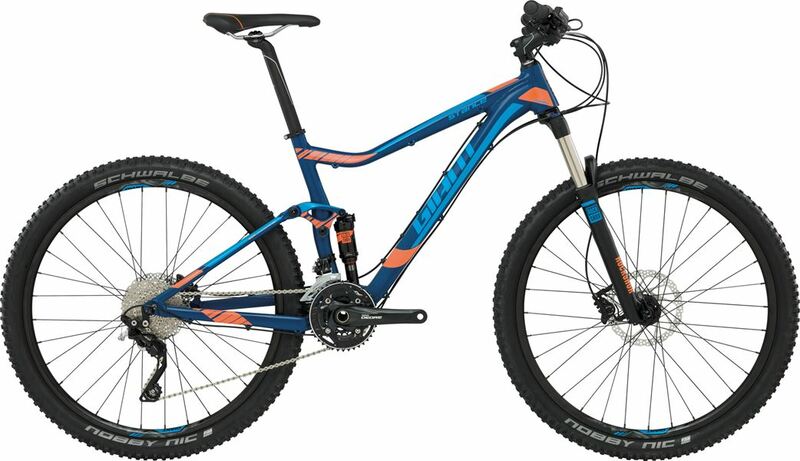 Rental of fully equipped Mountainbikes. Transportation of luggage between stages. Permission to bike through the National Park of Picos De Europa. Personal guidebook with all the necessary information for this trip. With maps of the city of León, of the bike route, etc. A giftbag with typical gastronomic products of the area. A bike jersey as a souvenir. Transport to León from anywhere in the world, and then return home. We can include the flights for you, please let us know. Extended stay in León, Madrid, etc.